The band was formed following the split of the new wave of British heavy metal band Ethel The Frog. Salem recorded three demos and a single in the early 1980s; a compilation album of these recordings was released in 2010. The band re-formed (aka Salem UK) in 2009 and has since released two new EPs “New Tricks” and “X Rated” EP, and the albums “Forgotten Dreams” (2013) and “Dark Days” (2016). 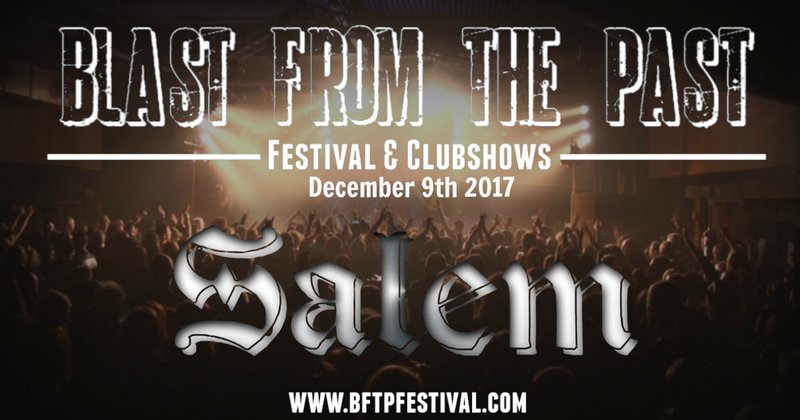 Salem has also filmed two videos and has played numerous festivals and gigs in UK, across Europe and beyond. A re-mastered and rearranged edition of the 2010 “In The Beginning …” album was released in July 2015. New album “Dark Days” has been met with rave reviews and considered one to the top albums of 2016.